Bright corn blue Spinel, 8x6.5mm (1.56ct), Hand fabricated in 14 kt white gold and durable forged stainless steel. This ring is a size 7 1/2, and the width is, 10mm at the top and 5.5mm at he bottom. 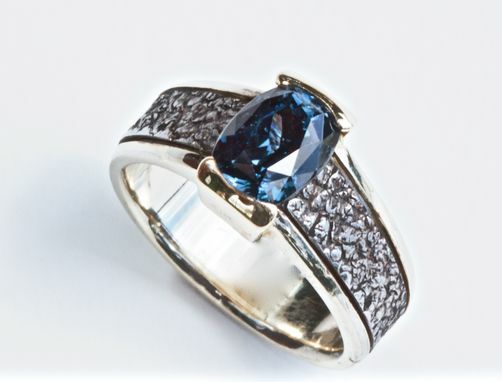 This ring has a great blue and white look!